Clin d’oeil Newsletter – Issue #2! The second edition of Clin d’oeil – our regular roundup of fresh patterns, products, and everything newsworthy at Espace Tricot – went out to our subscribers this morning. Fresh for the New Year, we’re bringing back Knit Nights, we’ve added new products to the shelves, plus we’re thrilled to share a new (and free!) Espace Tricot pattern that’s both striking and strikingly quick to knit. 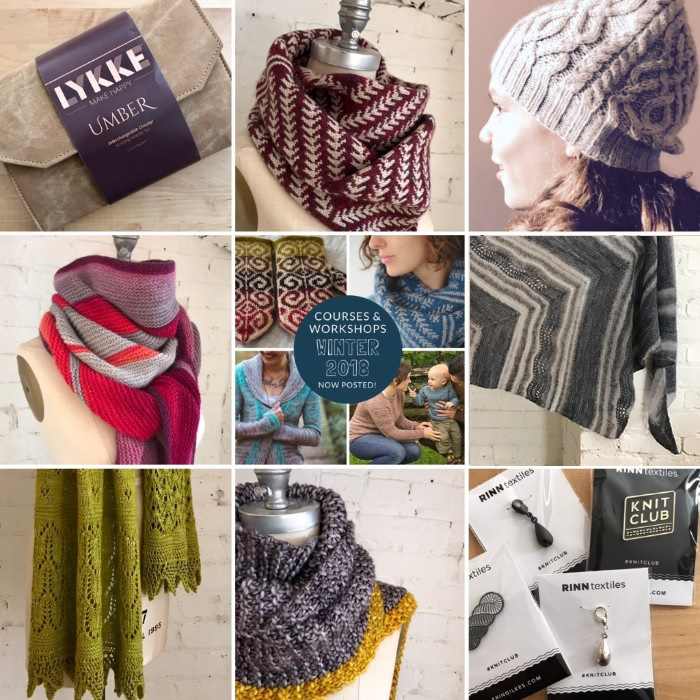 If you’re looking for project inspiration or to hone your knitting skills, you’ll also find links to our latest store samples and dates for our upcoming classes and workshops. If you’re interested in receiving the newsletter directly to your inbox simply subscribe HERE.